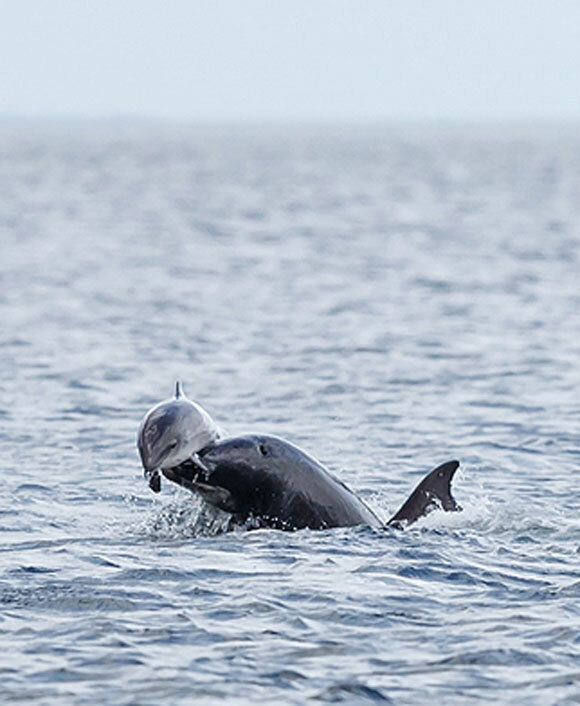 The moments in which two photographers captured dramatic shots of bottlenose dolphins attacking porpoises in the Moray Firth have been released by the Sea Watch Foundation. 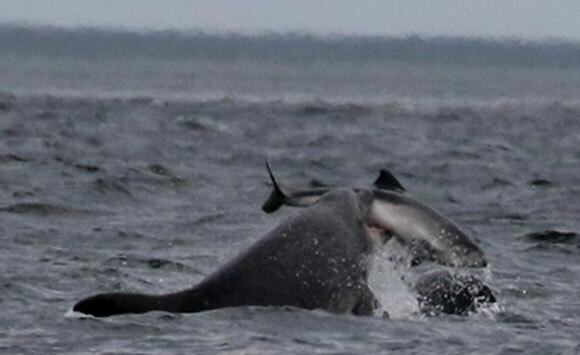 Researchers at the foundation, a national charity that monitors the numbers and distribution of whales, dolphins and porpoises around the British Isles, had recently been alerted to a series of unusual sightings of such dolphin attacks on porpoises, so when Jamie Muny and Alister Kemp showed them the shots, they knew they had captured some rare moments. "In the hundreds if not thousands of hours I’ve spent photographing the dolphins, I have never witnessed such an attack," reported Kemp. "I was saddened and shocked by the whole event, but at the same time there is a feeling in my heart that tells me I am lucky to have witnessed this very rare event," said Muny. "But I have no doubt it is something that I will not want see again – it was brutal." 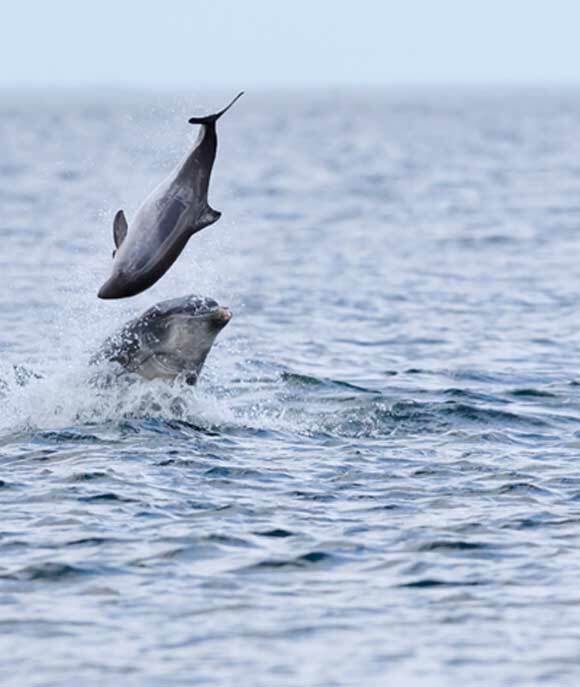 Interactions between bottlenose dolphins and harbour porpoises have been observed only occasionally. 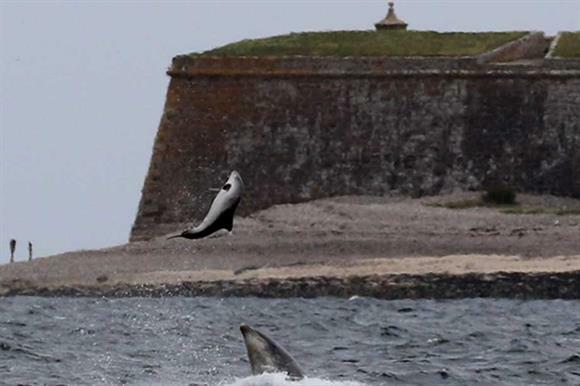 The foundation said that the porpoises generally try to avoid the dolphins. These photos could well explain why. Chiara Giulia Bertulli, sightings officer for the Sea Watch Foundation, said: "The waters in the UK are incredibly rich for whales, dolphins and porpoises, and reporting sightings, whether they are of species displaying unusual behaviours or not, is a really important for Sea Watch – they are way to learn more about the many cetacean species occurring around the UK."